The amazing silky-smooth texture, delicious flavour, and refreshing taste of ice cream is always welcome on a hot day. But we may find ourselves in conflict because of our dietary restrictions. What can we do to please our taste buds yet remain guilt-free? Here are our top five picks for healthy ice cream alternatives to indulge in this summer! The Italian counterpart to ice cream, this creamy and dense substitute has fewer calories and is a huge hit among ice cream lovers everywhere. If you are craving gelato, Crepe Delicious ice cream franchises carry a variety of flavours. There are several low-calorie options, as well as delicious flavour choices such as matcha green tea, coconut, banana, and green apple. This cold snack is ideal for chocolate lovers and a great choice to satisfy your desire for a frozen treat. This simple yet delicious ice cream alternative has only one ingredient, bananas. Blended to achieve a nice smooth texture, it is a perfect cold treat. With three scoops of gelato in a waffle bowl along with bananas, topped with your choice of syrup and dollop of whipped cream, the banana split served by Crepe Delicious is a visual as well as a tasty delight. There are two varieties of parfait, the traditional French-style dessert which is more of a custard, and the American variant, which involves layering parfait ice cream and fruits in a tall or short clear glass. Deliciously flavoured to appeal to your taste buds, parfaits are rich and loved by many. These treats can also be made healthier if you are looking to improve your eating habits. Similar to ice cream in texture, frozen yogurt is rich in protein and is fairly healthy. It is readily available in many ice cream parlours and comes in various flavours. Sorbets do not contain milk or cream, making them gluten-free as well as dairy-free and perfect for those who have food intolerances. You can find these light, refreshing desserts in various flavours like watermelon, lemon, strawberry, and other fruits. At Crepe Delicious, you can explore several cold dessert selections to find your personal favourite. 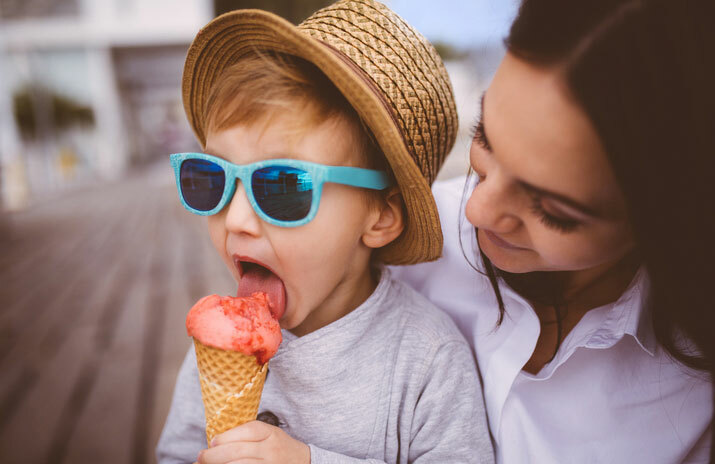 Browse the frozen treats menu to see our wide variety of exciting treats, and visit a location near you to come in and try your favourites while enjoying the summer weather. Also Read: Is Gelato Just Another Name For Ice Cream?